A new product comes out on the market and we’re buying it without thinking about its purpose and whether or not we actually need it. We complain about what our hair isn’t without ever really looking at what our hair is. It’s not shiny enough nor is it curly or straight enough. It’s not thick enough or maybe the color is wrong. Whether real or perceived, there’s always a problem. And what do we do about it? We pile various products on the hair and hope for a miracle but these faulty solutions do one thing, cause more problems. Before you can really do anything about your hair and the state it’s in, you need to know what you’re dealing with. How? Well it’s as simple as asking yourself, “what’s my problem?” Yes, it’s that easy. You don’t have to be a genius to sit down and touch your hair and I mean really touch it. Sometimes this action alone will tell you what’s going on. Does it feel smooth, rough, oily, dry? Look at it? What do you see? Personally, I’m a sucker for clean lines and my eyes literally glaze over when I come across hair packaging that looks like stainless steel. See the pic below? I salivate at the sight of these bottles. Solve a problem without identifying what the problem is and what the variables are? Nearly impossible. I knew what my next step was, research. Now this, I knew something about so I researched like a maniac. What is hair? Why is it there? Is there anything I can do to get more of it? How do I make it softer, shinier – beautiful? I can’t maintain to have all of the answers when it comes to hair and I make sure to never believe anyone who claims they do. I’m still a work in progress but I can let you know what I know so you don’t make the same mistakes I did. 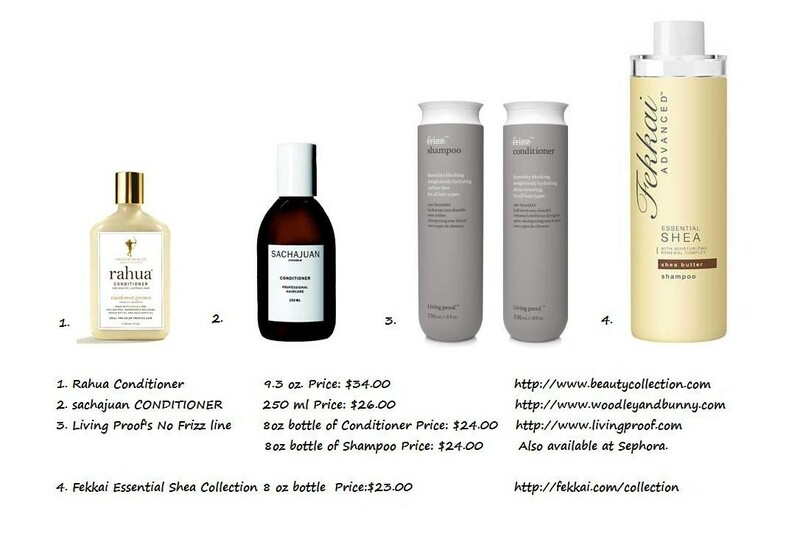 This entry was posted in Beats, Hair Problems and tagged 2010, Fekkai Essential Shea, Hair Problems, hair products, Living Proof No Frizz, product packaging, Rahua Shampoo, Sachajuan Conditioner. Bookmark the permalink.